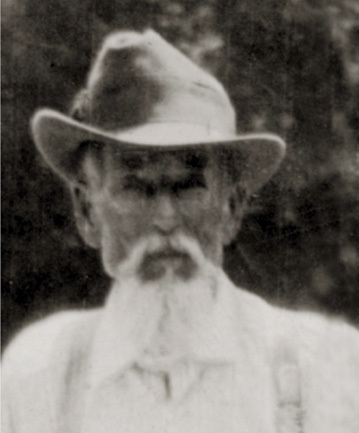 Stephen Peacock, Jr., was born about 1815 in Wayne County, North Carolina and died about 1859 in Calhoun County, Florida. Dates for birth and death are estimated. He lived to be about 44 years old. He and his wife are believed to have died before 1860 when their oldest daughter is found raising their youngest children. Page 3 -The household of Stephen Peacock is recorded on line 19: two males (under 5), one male (30 to 40), and one female (20 to 30). His immediate neighbor is his uncle Raiford Peacock Sr. and nearby lives Axiom Peacock (Grandson of Jesse) and his family and a Brittan Barnes with his family (Pos. relative of Rhoda Barnes). Click on any of the News, Events, or Discoveries buttons above to see historical things that happened during Stephen Peacock's life. These are only some of the major events that affected the life and times of Stephen, his family, and friends. For example, Stephen is 5 years old when The Act of April 24, 1820 abolished the land purchase credit system, fixed the price of public lands at $1.25 per acre, and set the minimum purchase at 80 acres. After a person purchased land, a final certificate was issued by the land office and sent to Washington DC to be verified and signed by the President -- a time consuming process. Public lands were most typically available through US treaties with Indians who agreed to be removed from their homelands. 3 1818 First Seminole Indian War takes place when Andrew Jackson brings his troops into northern Florida. 6 1821 Spain formally cedes Florida to the United States in 1821, according to terms of the Adams-On�s Treaty. Spanish colonists as well as settlers from the newly formed United States begin to pour into the new territory. Prior to this change, Florida was a wilderness sparsely dotted with settlements of native Indians, escaped/freed slaves and Spaniards. 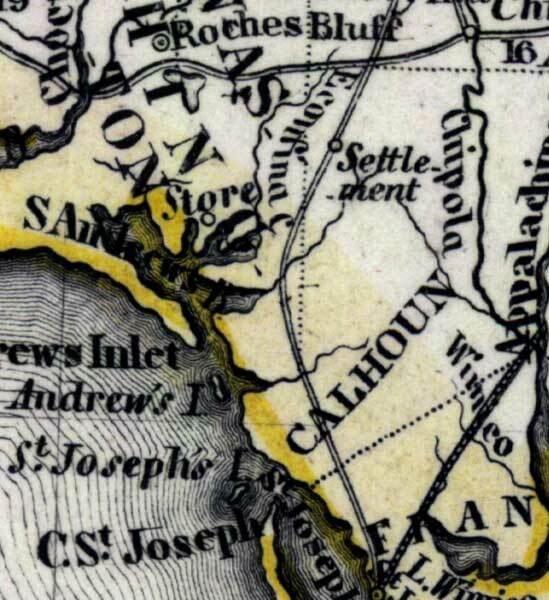 8 1823 The Treaty of Moultrie Creek pushes the Seminole Indian towns into the interior of the Florida peninsula. 9 1824 Tallahassee is established at the capital of Florida because it is half-way between the two government centers in St. Augustine and Pensacola. The Legislative Council meets in November in a log house erected in the vicinity of today's capitol. 20 1835 The Second Seminole Indian War keeps the United States and Seminoles Indians fighting in North & Central Florida. 22 1837 NEWS HEADLINES: In October, Chief Osceola of the Seminole Indians is captured when he arrives for supposed truce negotiations at Fort Payton. He is imprisoned at St. Augustine, FL where he refuses to eat and attempts to escape several times. In December he is moved to a prison in SC where he dies on January 20, 1838. At the time of his death, Osceola was the most famous American Indian. 27 1842 Congress passes the Armed Occupation Act of 1842. It entitles persons willing and able to bear arms against the Indians and establish themselves in villages along the borders of Indian territory ownership of their land after 5 years. 30 1845 Florida becomes the 27th state to join the United States. William Moseley becomes the first governor and David Yulee the first senator. 35 1850 Florida's total population has grown to 87,445. This includes about 39,000 slaves and 1,000 free blacks. Indians were not counted. 40 1855 Third Seminole Indian War begins and war breaks out with most of the battles occurring in Central Florida. It ends three years later when Chief Billy Bowlegs and his band are forced to move from Florida. 15 1830 The U.S. Government begins forcing Cherokee Indians from their homes in what becomes known as the Trail of Tears. Many Cherokee hide in the mountains of North Carolina and surrounding states. The Children of Stephen Peacock Jr.
Born in Wayne County, North Carolina about 1838 and died somewhere in Florida about 1920. She was about 82 years old. 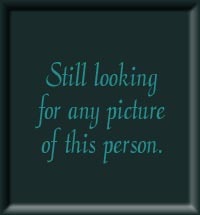 Born in Wayne County, North Carolina about 1839 and died in an unknown location about 1920. She was about 81 years old. Born in Wayne County, North Carolina about 1841 and died in an unknown location about 1862. He was about 21 years old. Born in Decatur County, Georgia on December 13, 1843 and died in Blountstown, Florida on December 31, 1925. He was 82 years old. Born in Jackson County, Florida about 1845 and died in an unknown location about 1930. She was about 85 years old. Born in Jackson County, Florida about 1848 and died in an unknown location about 1920. She was about 72 years old. Born in Calhoun County, Florida about 1854 and died in an unknown location about 1930. He was about 76 years old.